Hemp hearts are considered by many nutritionists to be one of the best plant-based proteins available. A serious amount of essential nutrients are packed into every handful of hemp hearts. They are bursting at the seams with fiber, zinc, potassium, calcium, magnesium and more. One tiny handful of hemp hearts contain all nine essential amino acids that your body requires to build muscle, regulate your immune system and repair tissue. Plus, Humming hemp hearts have the perfect balance of omega fatty acids — 6:3. This ratio helps to maintain optimal health and wellness. Since there are so many hemp seed benefits, you’re probably wondering how to eat more of them. There are many fun and easy ways to incorporate hemp hearts into your daily diet. They are fun and easy to cook with, and they have a nutty taste and soft, chewy texture that can enhance just about anything. Here are five super smart and fun ways to enjoy hemp hearts every day. Kale, Banana, Chia, Hemp Superfood Smoothie – This smoothie is quite delicious and its packed with superfoods. Strawberry and Hemp Seed Smoothie – The creamy texture of hemp hearts make them perfect for this fresh, refreshing smoothie. Creamy Chocolate Hemp Smoothie – Enjoy a rich, decadent smoothie that tastes just like a dessert. Hemp protein is the perfect addition to plain ol’ mac and cheese. Use hemp hearts to make a guiltless version of the classic comfort dish. This mac and cheese recipe is packed with vitamins, fiber, and protein. And, the best part? Kids love it. They will never know that it is secretly healthy. Shush! Don’t tell them. This delicious parmesan and sea salt popcorn recipe is far more robust than anything that you will find in a vending machine. It contains parmesan cheese and sea salt. Simply replace the olive oil with Humming hemp oil. Like hemp hearts, hemp oil is packed with nutrients and minerals. It makes a great addition to any recipe that calls for oil. Parmesan & sea salt popcorn is a great on-the-go snack. Store some in individual Ziploc bags and take to work. Then grab a bag when you feel mid-day hunger pangs coming on. You can also throw a bag or two in your gym bag. It also makes a great after workout snack. 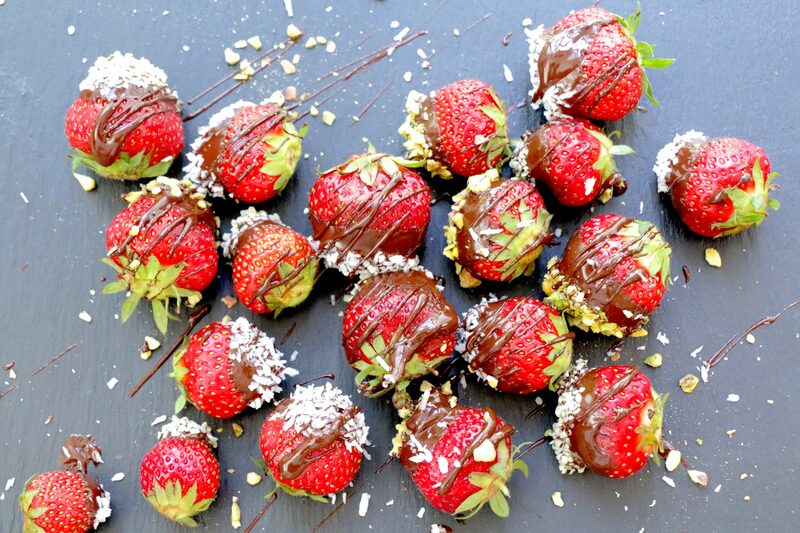 Chocolate-covered strawberries are beautiful and delicious. They are equally great for special occasions and after-school snacks. When you add hemp hearts to the mix, they are also incredibly healthy. Try this recipe. It is so easy that anyone can make it. Get the kids involved. They will love to make these delicious treats. Guacamole is one of the healthier dips that you can make. Avocados have plenty of healthy oils. Just add ¼ cup of Humming hemp hearts to this recipe for even more goodness and all the hemp benefits. We guarantee that the bowl will be scraped clean. Humming Hemp is the non-GMO, gluten-free, vegan superfood you deserve. Find our delicious products at your local Safeway, Fred Meyer, GNC or Albertson grocery stores.